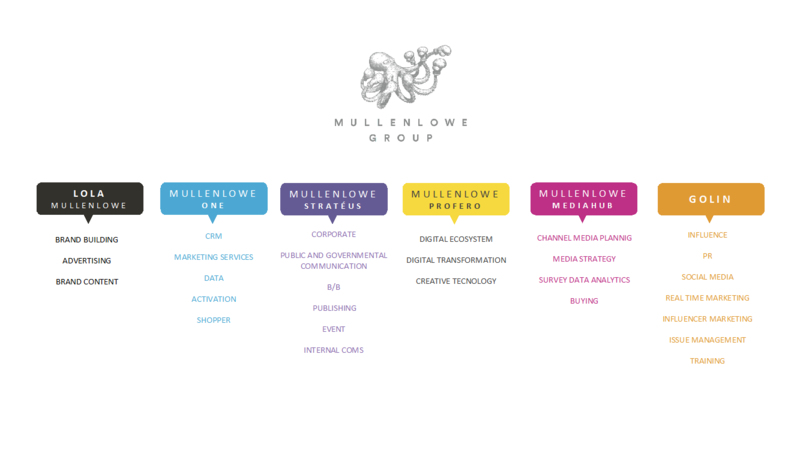 The Managing Director will be charged of the management of the Paris office with the support of the management of the MullenLowe Group France (MLGF) through organic growth and winning new business. The Managing Director will be a builder of teams and will be expected to both attract new talent and inspire current employees in this growth phase. The candidate will be charged with mapping the continued strategic growth of the Paris office and build a strong offer fully integrated in the MullenLowe Group France capabilities and organisation and pursuing opportunities to elevate the company’s profile while building long-term client relationships. The candidate will join the Golin’s European leadership team, and he also be a partner in the Golin’s Global MD Group. He will be responsible of a team with approximately 20 colleagues part of the 180 employees of MullenLowe Group France, one of the most integrated communication group in France. Manage and grow the overall client portfolio for Paris office and its 20 (approx) employees, part of the 180 employees of MLGF. Build and develop a best in class team that is passionate, energized and motivated to succeed. Provide oversight over consumer, healthcare and client brands. Grow Paris office, both organically and with new business, by leading the identification of potential business, overseeing new business pitches and aligning necessary corporate resources. Establish awareness of Golin as a formidable competitor to other agencies and as a must-have pitch contender in the minds of key target companies. Grow the practice into the most exciting technology consultancy in the minds of key media bodies and all relevant influencers. Be connected and a connector. Have deep relationships in the industry (clients, media and influencers) and leverage those relationships for the betterment of the business. Manage strategy by image building, corporate communications, and brand projection to rapidly grow company’s exposure in the technology space. Create strategic proposals to promote services. Proactively solicit feedback from clients on their current and future needs. Provide clients with timely recommendations based on industry trends and the evolving competitive landscape. Attract and retain outstanding talent that aligns with the culture of Golin WW. 10+ years of agency experience with strong leadership. Bachelor’s Degree in Liberal Arts, Business Administration, Advertising & Communications or equivalent. Strong track record of new business experience; a trusted advisor to clients at various levels. Exceptional oral, written communication skills, excellent presentation and facilitation skills. Ability to manage teams in a collaborative, results driven manner. Proven ability as a strategic thinker. Excellent interpersonal skills. Engages and builds effective relationships across the organization. A leader who earns credibility through personal passion and proactive service and results. A true people leader who is clear on expectations, provides immediate and direct feedback and does whatever it takes to set teams up for success and clear away obstacles. Proven visionary leader who thrives in being a builder. Well-rounded and excel in not only operational excellence but in understanding client business to provide high-level strategic counsel. Strong interpersonal leadership skills. Recognize and reward excellent performance. Bring fresh thinking and ways of working to the team. Push teams and individuals to Go All In and look for new angles, more creative ideas, bolder engagement strategies and be the agents of change for our clients. Seek out recognition for great work through industry awards. Cascade new thinking, products and services to the local team from HQ and tailor to suit the local market as necessary. Take and share best practice and push your teams to go above and beyond. Actively seek integrated (PR/social/digital/marketing) solutions for the client business. Real capabilities and concrete experiences to connect to audiences and different targets to amplify the client messages. Social media, CRM, Media, B/B and corporate capabilities. Very well connected with new ways to communicate with journalists, influencers, associations, lobbyers, etc. Stimulate and challenge your team to deliver powerful programs for clients based on business goals, research and relevant insights. Be a champion for creative thinking and seek out ways to continually bring in new creative ideas and thinking to the office. Look for innovative ways to bring creativity into every aspect of our work and to demonstrate its commercial value. Have the ultimate responsibility for profit and business growth for the office. Be the standard bearer for quality in terms of insight, objectives, strategy, creative thinking and flawless execution. A confident presenter always looking for new and relevant ways to present. You encourage and coach others to help them become great presenters and pitchers. Have a proven track record of developing and presenting dynamic, charismatic and persuasive presentations. Have the ability to package ideas and feedback in a clear, logical and persuasive manner with any audience. You undertake and review annual client satisfaction surveys and set achievable programs for improvement and check that progress has been made. Ensure that there is proactive capacity planning for teams (Chemist) and work to find solutions to staffing problems to ensure that we can deliver the best work for clients and blend that with the needs and well-being of our staff. Actively seek to grow client remits beyond media relations or traditional PR. Maintain an open-door policy with your team. Willingly accept new and challenging assignments and career opportunities.